Rising concern in recent years over the possible adverse environmental consequences of the use of chemicals has led to a steady increase in national activity towards greater regulation, in addition to voluntary agreements with manufacturers for risk management of certain products. This book begins by reviewing the current framework of legislation for the regulation of chemicals in the UK and then reports expert views on both the current situation and possible future developments. 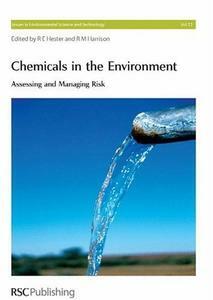 Subsequent chapters consider some of the scientific and technical issues, including the evaluation of the risks which chemicals can pose to human life and the environment, and the problems relating to evaluating the risks associated with metals in the environment. Finally, the predictive methods used to model the behaviour of organic chemicals within the environment are described. Highly topical, and with authoritative contributions from international experts, this book covers both the scientific underpinning and the legislative and practical issues of this emotive subject. The detailed coverage of a topic that affects many sectors of industry and society will make it popular with a wide audience of individuals from government organisations, industry or academic research - particularly those in environmental chemistry sectors.